I'm very new to bash and have started learning it only recently. I'm working on a Windows Machine, using Ubuntu 18.04.1. 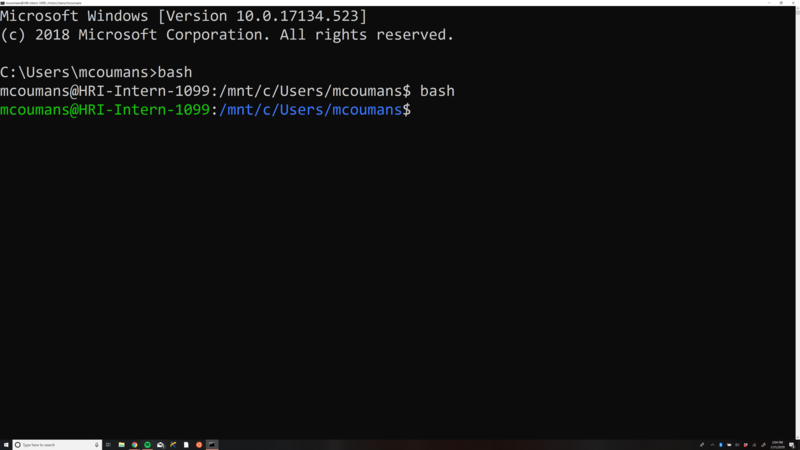 I have found, after a recent computer crash, that when I call bash on my machine, the first line in bash is not colorized (as it would be normally). My process is as follows: Open cmd prompt. Type in bash. Only when I call bash -I, bash -i, bash --debugger, etc,... or bash a second time will it be colored. I have checked ~/.bashrc file to see if there appeared to be anything out of order, and to my best knowledge things seemed OK. Does anyone have any familiarity with this issue? Your bash app appears to be corrupt. Uninstall it and reinstall it. You won't lose anything that you have made. Not the answer you're looking for? Browse other questions tagged command-line bash bashrc windows-subsystem-for-linux or ask your own question. How do I get long command lines to wrap to the next line?